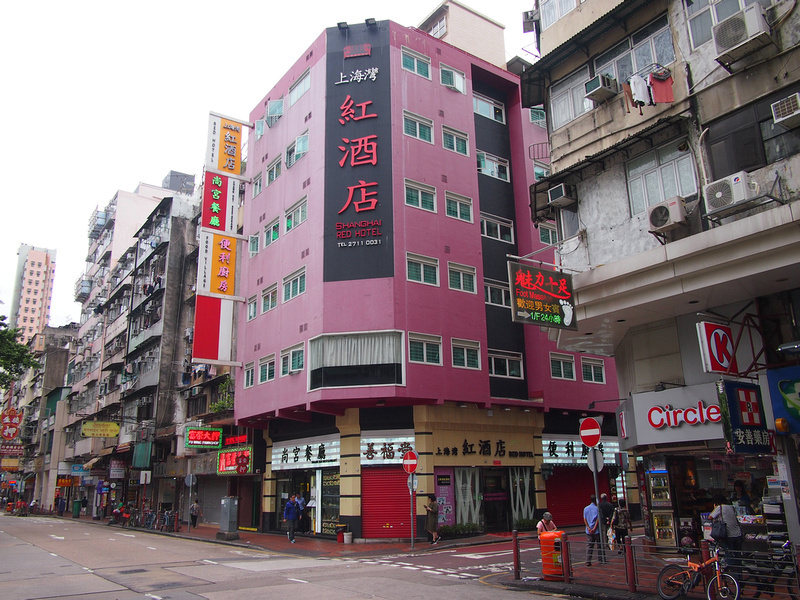 Address: 152 Shanghai Street, Jordan, Hong Kong. 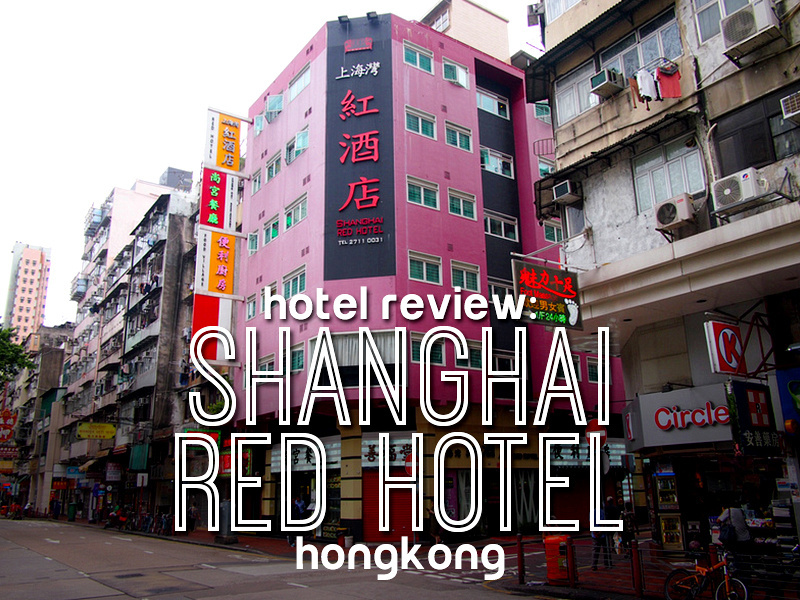 I stayed at the Shanghai Red Hotel in Hong Kong. I booked online and picked the hotel for its location in the Jordan area of Kowloon, which is one of my preferred places to stay in Hong Kong. The Shanghai Red Hotel is a 3-star mid-range hotel and it has a 24-hour reception if you happen to be arriving late. 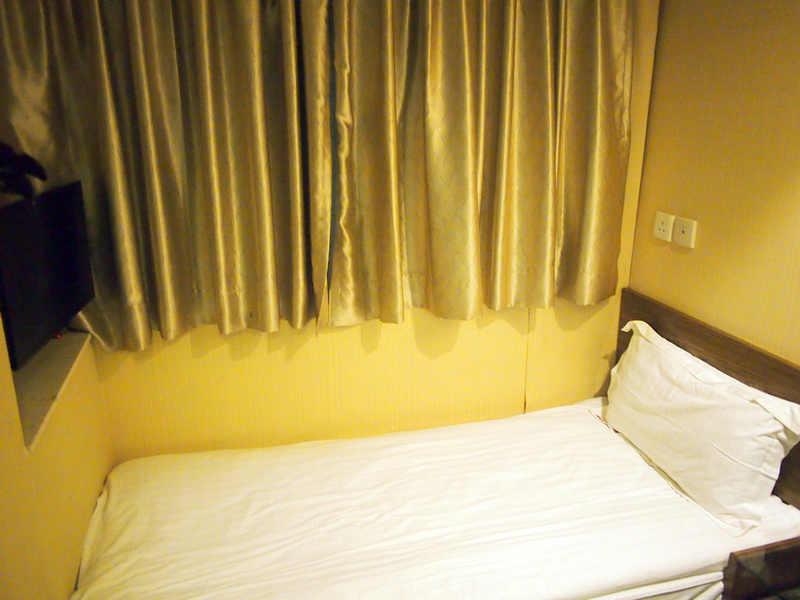 The thing with budget hotels in Hong Kong is that the rooms are small. 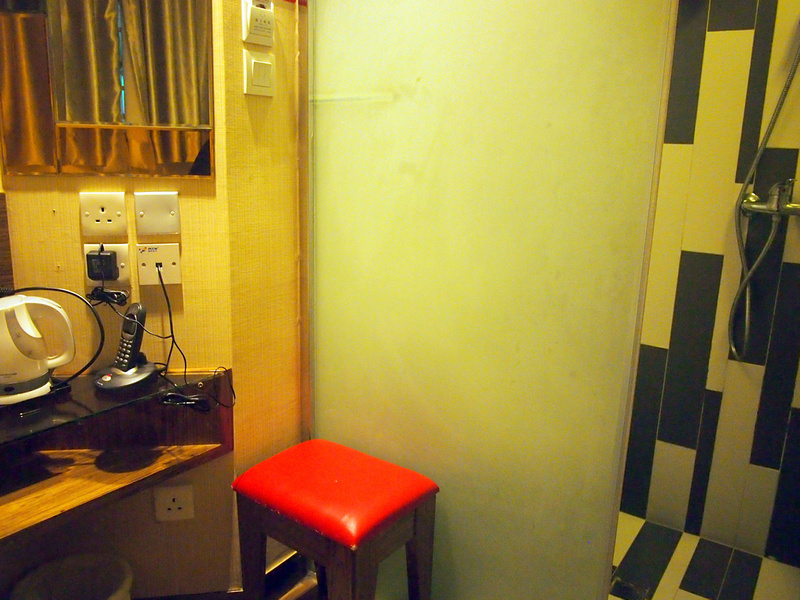 If you’ve never been to Hong Kong before the room size might be a shock to the system. I have stayed in much smaller rooms before (especially at the Chungking Mansions) so this one was roomier by comparison. I got a single room with private bathroom. The bed was wide enough but length-wise it was too short for me. I’m 6’1″ in the old measuring system, and my bed was about 6′. Lying straight in bed my feet and top of my head touched the walls, so I had to sleep at an angle. The room had a big window which was a bonus, as often these small room are windowless boxes. 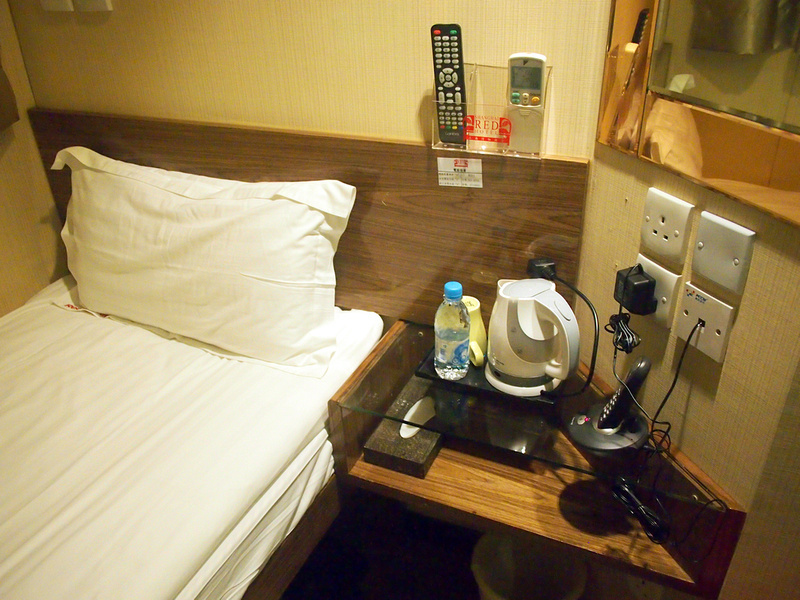 The room had useful power outlets next to the bedside table, and tea and coffee facilities. The room comes with a/c. The bathroom was also tiny, but again, it comes down to relative experience. The last time I stayed in Jordan my bathroom was so small I had to squeeze through the door sideways. Some of the online reviewers were aghast at how small the bathrooms are. There was enough room to shower, and it was a clean space so I was happy with it. There is free wifi which worked no problem in my room. In terms of location, I like Jordan as it is a lively area at night with food markets, and it is an easy walk to the harbour straight down Nathan Road. There is also the metro if you want to go to the island side of Hong Kong. Overall this was a god place to stay, though as a tall person I’m still looking for a small hotel room in Hong Kong that is big enough to fit a tall-persons bed. 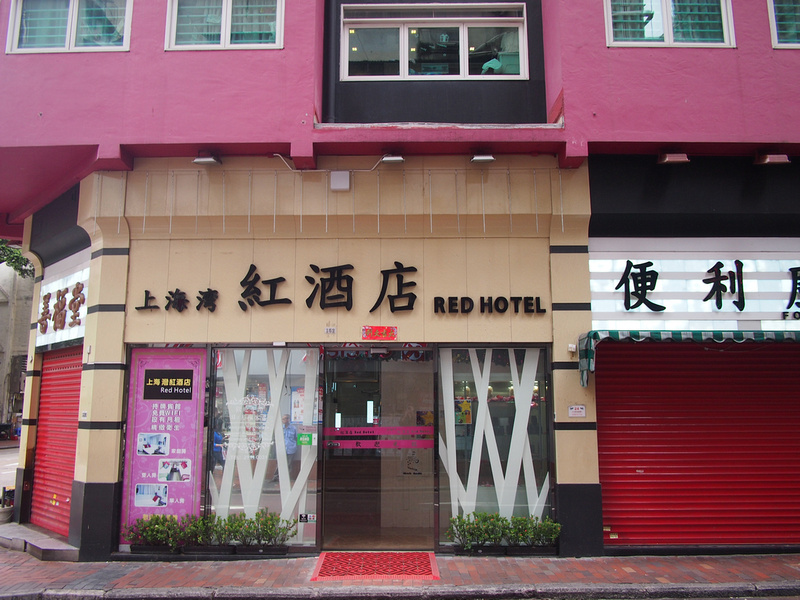 Book the Shanghai Red Hotel online or search for more hotels in Hong Kong.